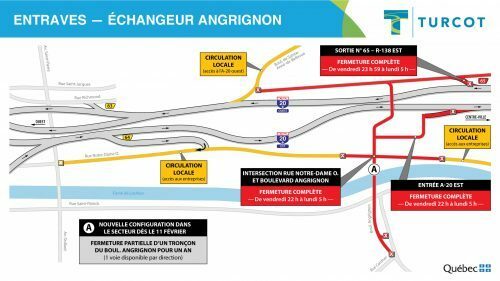 In what’s starting to seem like a weekly event, officials for the Turcot Interchange have announced another major roadwork headache around the Highway 20 expressway. Starting Monday, the four-lane bridge over the Lachine Canal, just off Angrignon Boulevard will be reduced to one lane per direction. The bridge is being demolished in the already heavily-trafficked area as part of the massive Turcot Interchange project and will be replaced in the coming months. 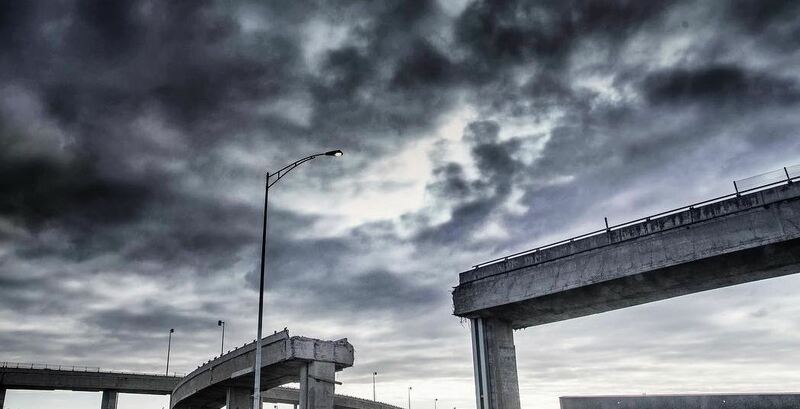 According to the transport ministry, the Turcot project is almost three-quarters done and the lanes that feed into the overpass are being changed and reconfigured to fit into the new Turcot’s final plans. Transports Quebec maintains that the work is unavoidable. The Angrignon road closure will have ripple effects on surrounding passageways. For example, Angrignon Boulevard will be completely closed from St-Patrick Street to Highway 20 from Friday at 10 pm until Monday at 5 am. Five kilometres of Notre-Dame Street Ouest will also be closed between Avenue Dollard and St-Rémi Street until Monday morning, as well.